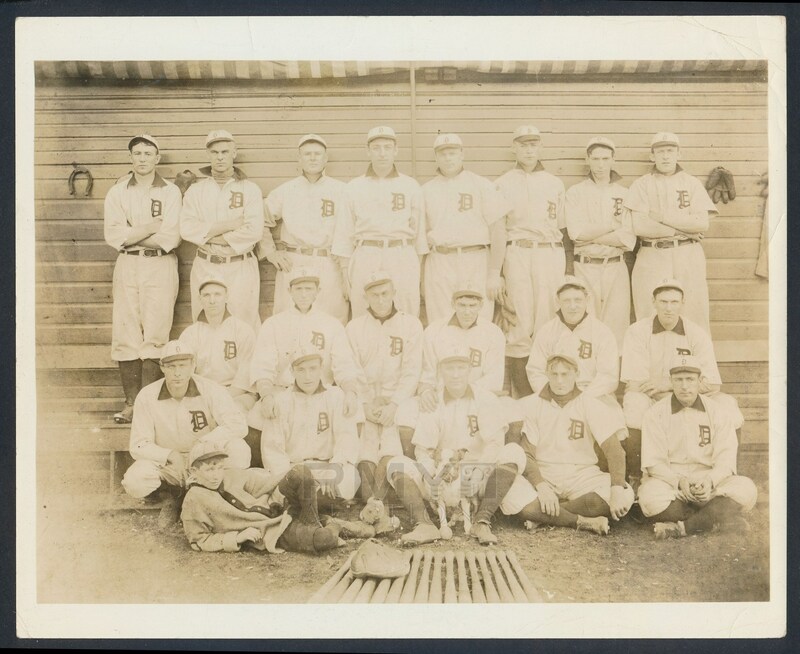 Large 1907 famous photograph of the Detroit Tigers from early in the career of Ty Cobb but the youngster is already sitting front and center! One of the most famous deadball era images of all time, this is a silver gelatin original that exhibits fantastic age and clarity despite some creasing at the corners. 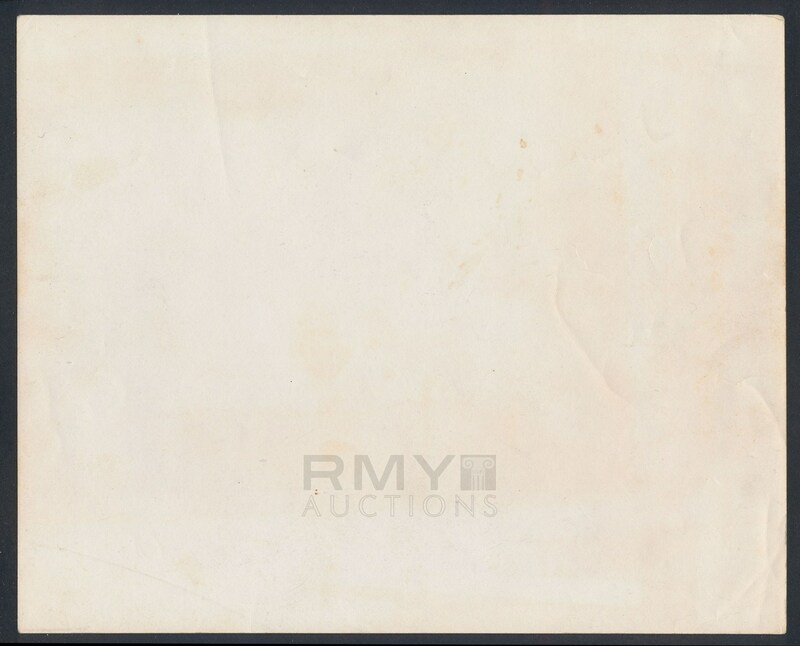 This was purchased from a major auction house as original to 1907 and it is VERY old, but we feel it is a slightly later re-strike and it has the look and feel of something done in the 1930's. Still an amazing piece of photography with some serious age to it and off the original negative. Images of Cobb are hot right now and this is one of his best early team photos.